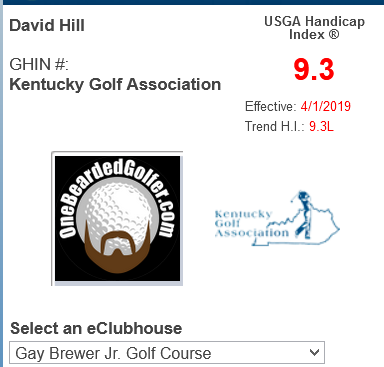 With an arctic blast moving through central Kentucky this coming week, my earnest start to the 2015 golf season is on hold at least one more week. Rather than bemoaning the circumstances of the present, it seems like the perfect opportunity to look back at the best golf course experiences I had last year. This is my completely subjective, non-scientific ordering of my favorite golf courses played. This is not a rankings list based on anything other than what kind of impression a course left and how much fun I had playing there. I’m intrigued by differing styles of golf courses, course architecture, and architects, but I’m not a Golf Club Atlas junkie. I read all the various golf publications’ lists of top courses when they come out, but my journey certainly isn’t beholden to the listed courses. Perhaps most importantly, this year I realized that the company I play a round of golf with can be as important to how I feel about a course or round as any tangible feature of the course. The view from just off the 10th fairway of the Jones Course at Palmetto Dunes, where you are close enough to smell the Atlantic Ocean just beyond those palm trees behind the green. 10. – Robert Trent Jones Course at Palmetto Dunes, Hilton Head Island, South Carolina; Robert Trent Jones, Sr., 1967; Robert Rulewich, 2002. This was the last course I played on my Hilton Head trip. The course was beautiful, the challenge was tough but fair, and my game had completely run out of gas. Nonetheless, even when not playing at the highest level, the course is fun and interesting, with so many hazards in play and the massive putting greens. 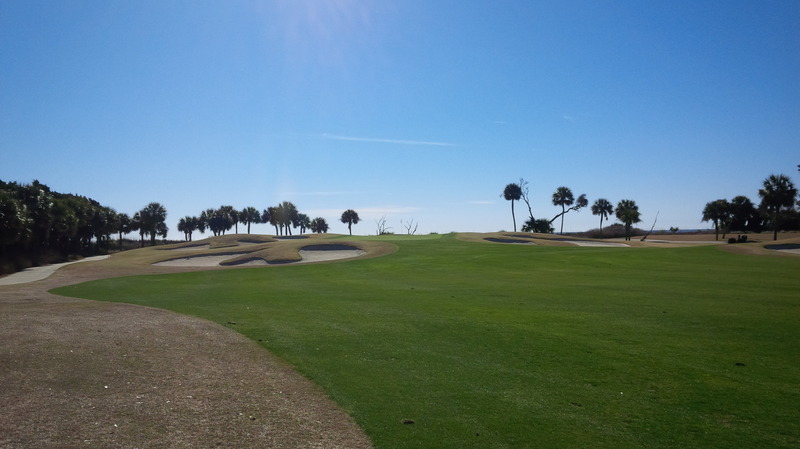 Unique amongst all the courses played in 2014, the Jones Course at Palmetto Dunes builds and crescendos to the ocean-side 10th green and 11th tee, then decrescendos back to the clubhouse. 9. – Wasioto Winds Golf Course, Pineville, Kentucky; Dr. Michael Hurdzan, 2001. 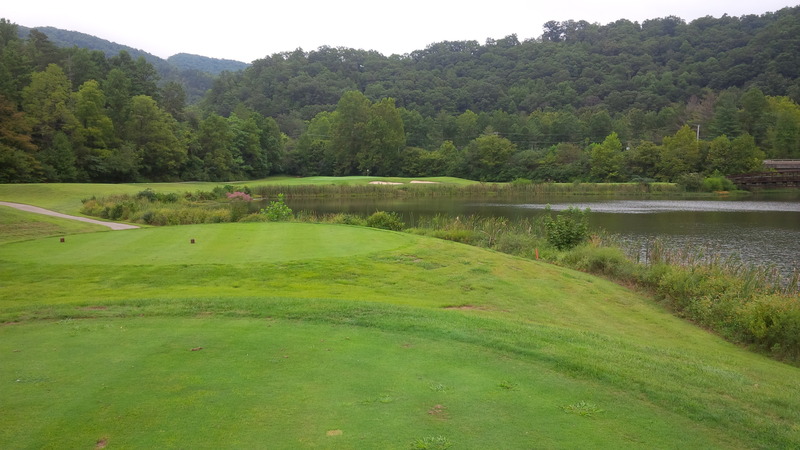 The trip down through the mountains of southeastern Kentucky to Wasioto Winds was the final leg of season’s tour of some of the best state park and daily fee courses in the state. The natural beauty of the valley on which the course was built between two mountains is the thing I will remember most about the course. That, and some of the incredibly difficult holes on both nines, including a brutal closing stretch of holes. 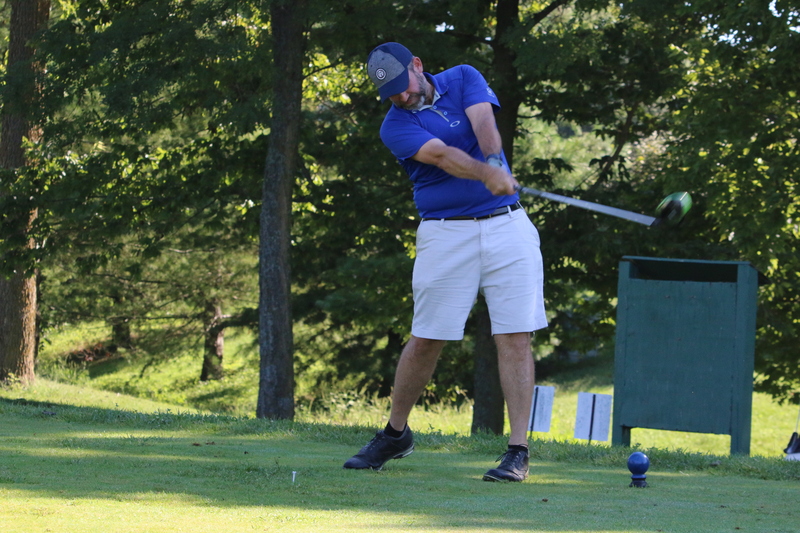 The course was extremely flat and mostly unencumbered by trees, so I could shape the same shot various ways, which let me utilize what little on-course creativity I possess. With the exception of houses being within shouting distance of a few holes on the back nine, it’s hard to beat the largely unspoiled natural surroundings at Houston Oaks Golf Club. 8. – Houston Oaks Golf Course, Paris, Kentucky; Jack Ridge, 1996. This course is my favorite hidden gem in central Kentucky. It doesn’t show up on any national publications’ lists, and it’s a bit out of the way, but if a playing partner leaves the day’s course selection to me, this is always near the top of the list. Houston Oaks is almost two courses in one: the front nine moves gracefully through largely natural, undisturbed surroundings, while the back nine treks around and through a neighborhood development. Both nines have several excellent, signature holes, and rarely is the same strategic challenge repeated. I can pull up almost every hole quickly from memory, including what I like and dread about each. It would be better without the houses, but even with them present, I could play Houston Oaks every week and not get bored. Even though the fairway isn’t 200 feet below the tee, the visual from the 6th tee box at Old Silo can be a real knee-knocker, with trouble right, left, and long. 7. – Old Silo Golf Course, Mount Sterling, Kentucky; Graham Marsh, 2000. If Houston Oaks is the strong silent golf course of our area, Old Silo is the extroverted sibling that receives all the acclaim and praise, and rightly so. Under normal conditions, Old Silo can be a big, tough golf course that requires power, control, aggression, and patience; a tough ask of any golfer. The course creatively makes use of some extreme elevation changes, huge multi-tiered greens, and naturally carved routing that make it a treat to play. 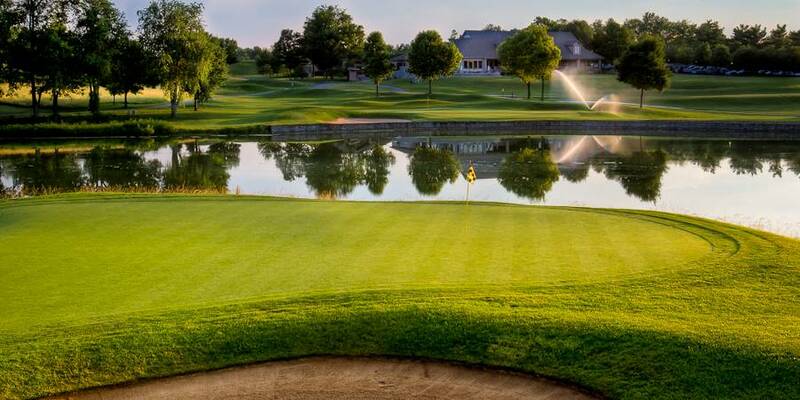 It’s arguably the best daily fee course in Kentucky for a multitude of reasons. 6. 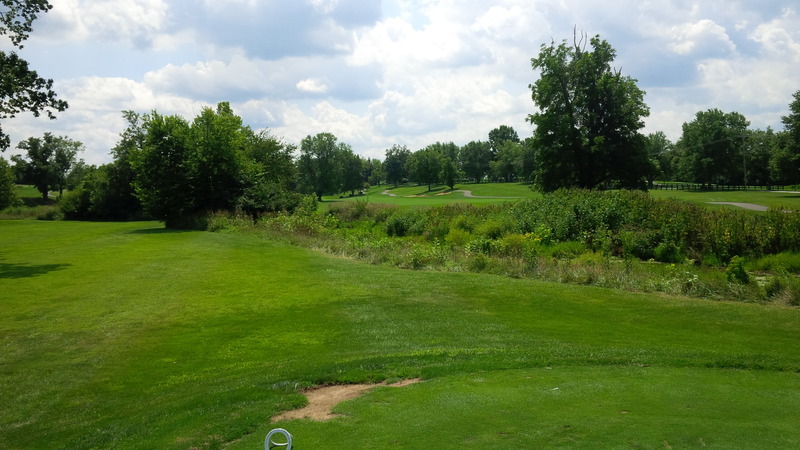 – Longaberger Golf Club, Nashport, Ohio; Arthur Hills, 1999. I’m a fan of Arthur Hills golf courses, and Longaberger may be one of his absolute best. It’s an incredibly stern test of golf, with one strategic decision required on top of another for 18 holes. Longaberger possessed constant elevation change, manipulated angles, and deceptive sight-lines change to create an incredibly difficult and visually intimidating golf course. 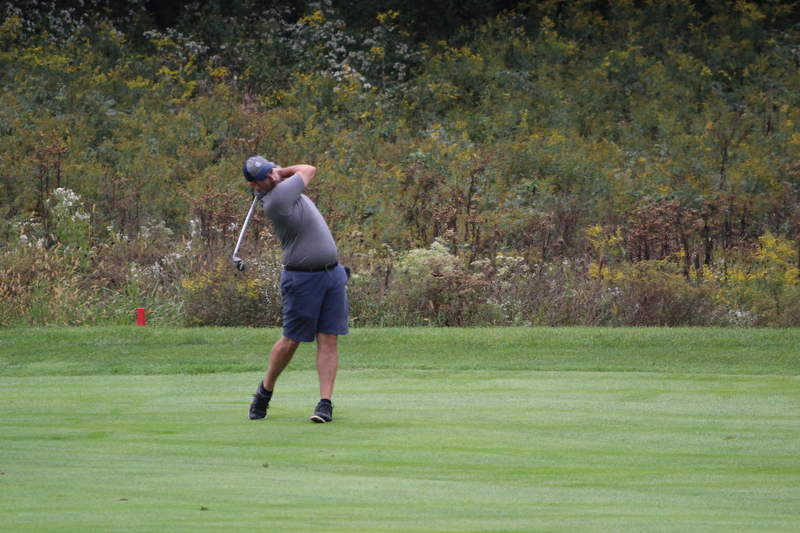 There were multiple trouble-spots on each hole, which was a real challenge to overcome, especially if the trouble was out-of-sight from the tee or a visual illusion that really wasn’t that dangerous. My only complaint on the day was the lack of marshals managing pace of play, as we were racing the sunset on 5-plus hour round. A view of the wonderfully understated clubhouse from across the lake, behind the 8th green at Champion Trace. 5. 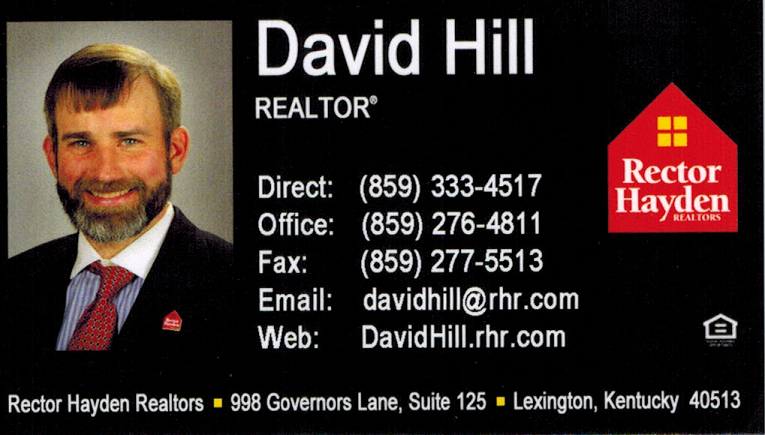 – Champion Trace Golf Club, Nicholasville, Kentucky; Arthur Hills, 1987. Another Arthur Hills gem, this private golf club located just past the outskirts of Lexington is a thinking man’s dream. Length, angles of the fairway, and undulation of the enormous greens are the primary defenders of the par at Champions Trace, and Hills’ design forces you to think your way around the tract. As primarily a muni-course hacker, the pristine conditioning at Champions Trace is a welcomed treat on the rare occasion I get invited to play there. The course has great variety with respect to what type of shot you need to play, and there’s a risk/reward element to almost every hole. Champions Trace is a course that is never boring, which is an important quality in my analysis. 4. – StoneCrest Golf Course, Prestonsburg, Kentucky; Chris Chrissman, Jack Sykes with Russ Cochran, 2001. StoneCrest is an incredibly fun golf course built on the unlikeliest and most breathtaking of locations. 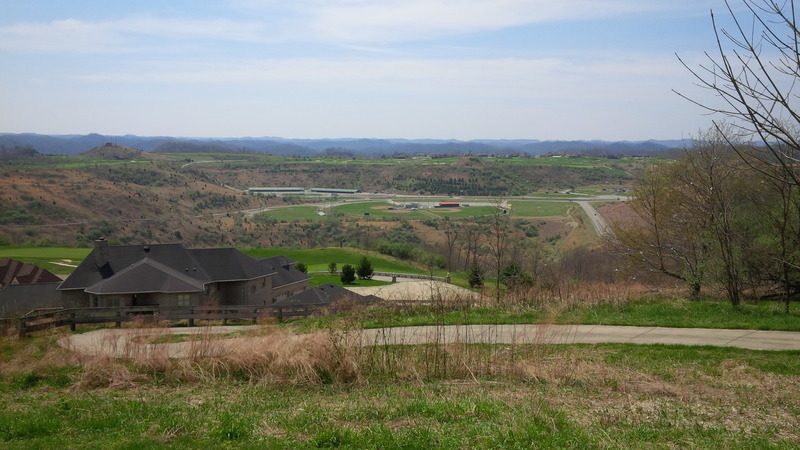 Built on a reclaimed mountaintop mine, the course provided unparalleled views of the surrounding mountain ridges, providing the best of distractions from the low-quality golf played during my round. Clever use of elevation change and lightning fast greens were the dominating features that I can recall. 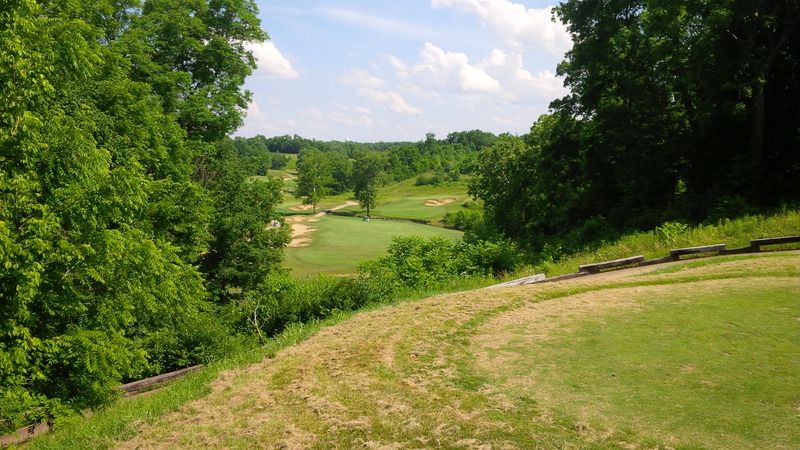 StoneCrest was far from the most difficult course played in 2014, but the joy and fun enjoyed while playing the course raises its profile to my favorite public course in Kentucky from 2014. I would have loved to have “posted a score” on my visits to Idle Hour C.C. this summer, but I was perfectly happy with the great company. 3. 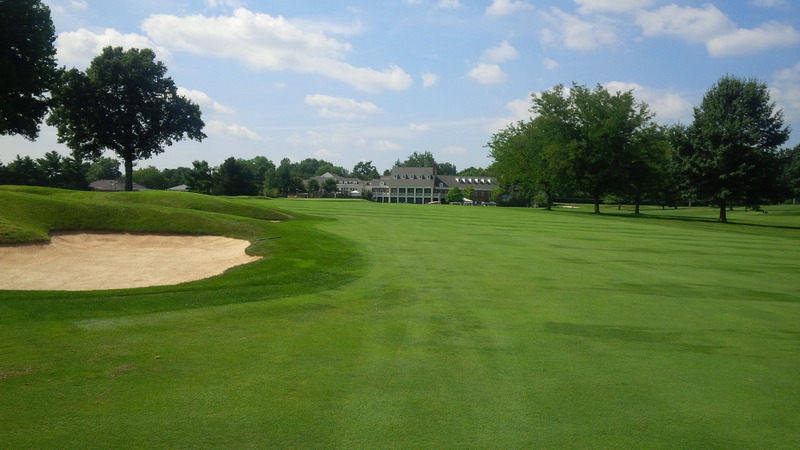 – Idle Hour Country Club, Lexington, Kentucky; Donald Ross, 1924. Getting to play golf at Idle Hour Country Club was, for me, like getting invited inside the gates at Seminole Golf Club. It might be the best conditioned and maintained course on which I’ve ever played golf. The greens were unlike most anything I’ve played on before or since; elevated, well guarded, and parking lot quick. 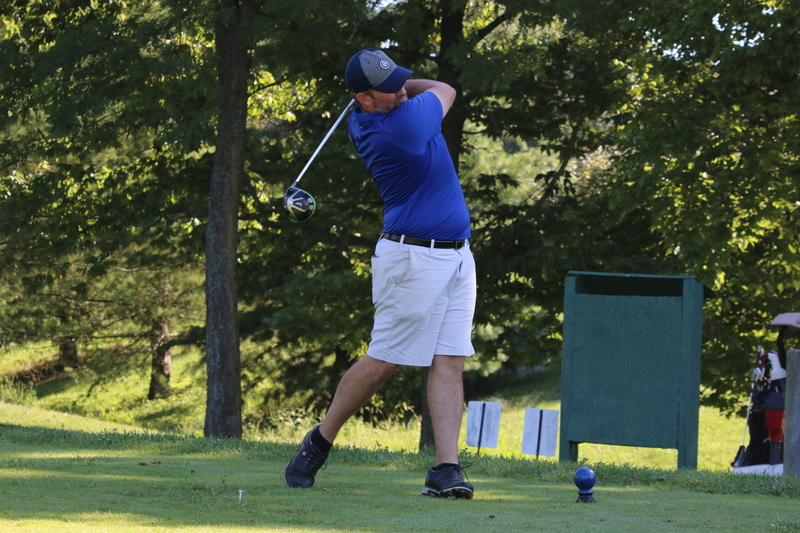 If there weren’t so many subtleties to picking a target from the tee, it would be easy to categorize Idle Hour as a second shot golf course, as selecting the correct side of the green to attack, or conversely, missing on the short side, could produce a minimum of a two-shot scoring swing. There was a strategic decision to be made on every shot, and execution was every bit as important as taking dead aim. Idle Hour is a first-rate club and course of the highest order, and one of the few drop-everything invitations that should not be turned down. You come around the corner of the dog leg 16th hole at Harbour Town, and there is Calibogue Sound, with all its wind and splendor. 2. – Harbour Town Golf Links, Hilton Head Island, South Carolina; Pete Dye w/ Jack Nicklaus, 1969. I got to play Harbour Town all by myself. Literally. There wasn’t another golfer within nine holes of me all day. So, I got to play the best public course on Hilton Head Island at my own pace, stopping to soak in the scenery and the devilry of the design on my own terms. The course requires all manner and varieties of golf shots, and the postage stamp greens are as unforgiving as they are perfectly maintained. Dye is famous for using angles, deep bunkers, and small greens that force a golfer to try to execute a strategy dictated by the layout of the individual holes, and Harbour Town epitomizes those infamous Dye characteristics. 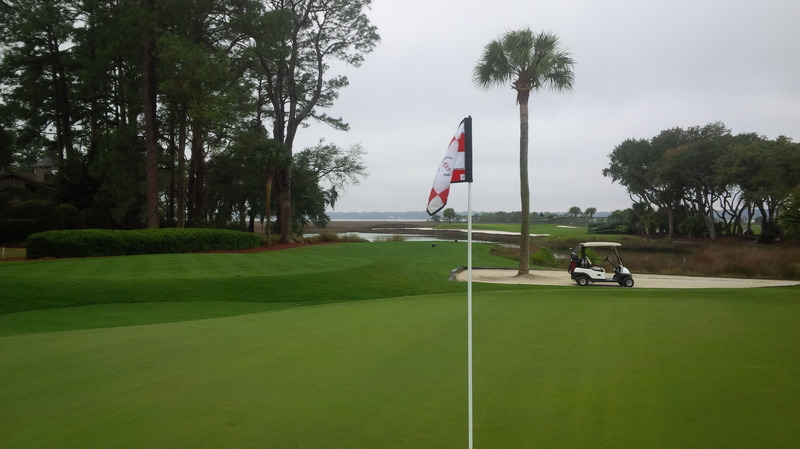 Harbour Town is a unique experience at the edge of the New World, and a bucket list course, for sure. 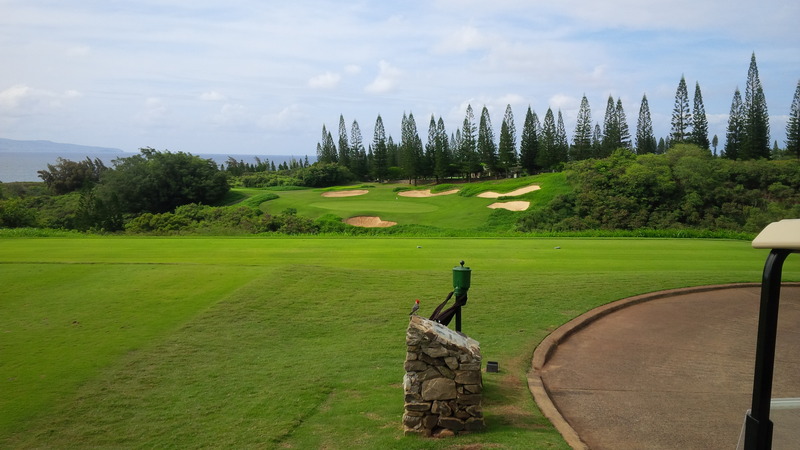 The 8th hole on the Kapalua Plantation course looks benign enough until you step onto the tee. 1. – Kapalua Plantation Course, Lahaina, Maui, Hawaii; Bill Coore & Ben Crenshaw, 1991. I wish I were a better wordsmith, because I lack the skill to adequately describe the mixture of excitement and serenity experienced on nearly every tee box of the Plantation Course at Kapalua. The views of the mountains and the Pacific Ocean provide a jaw-dropping background for an immensely fun and enjoyable golf course possessing super-wide fairways and light rough. The jungle-quality undergrowth just off the fairways and foliage filled valleys adjacent to the fairways are black holes from which golf balls (and wayward golfers) do not return. 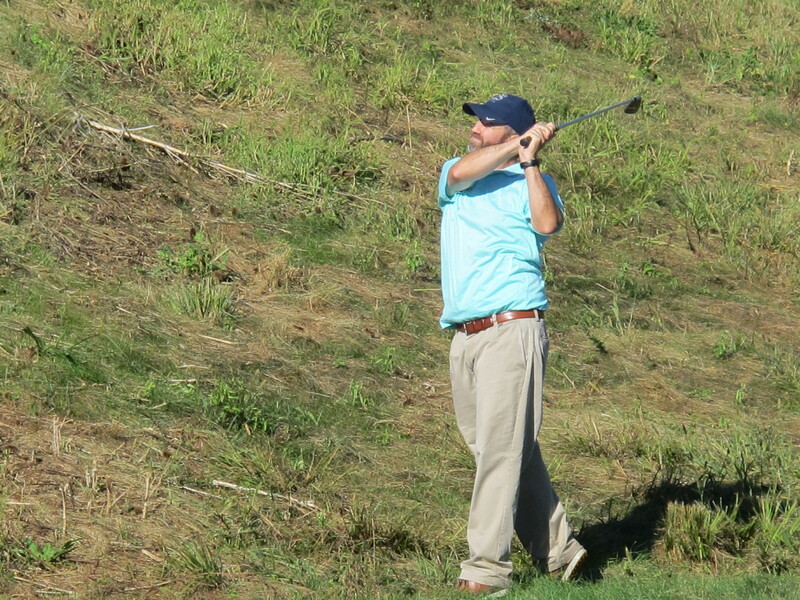 Constant elevation changes challenge the golfer with plenty of blind and semi-blind shots and holes of lengths that force the golfer to make a risk/reward decision. And there always seemed to be a bunker in play on every shot if I missed the target. Short of playing through a blinding thunderstorm, I struggle to imagine it possible to have a bad round on the Plantation Course, regardless of what score one shoots. I was blessed to have some amazing golf experiences in 2014, and I can’t wait to get the 2015 golf season underway. Great list of courses for sure. It sounds like you are a grateful golfer! I am looking forward to hearing more about your golfing adventures. Dave, great list. Looking forward to your reviews on the RTJ Trail! StoneCrest is one that interests me! I played Twisted Gun in WV last year which has a similar theme being built on a mine and in a remote location. Like your trip, mine was more about the experience than the course design. StoneCrest was a fun golf course to play, and definitely worth the drive. It’s not a USGA championship tract, but it also isn’t gimmicky. 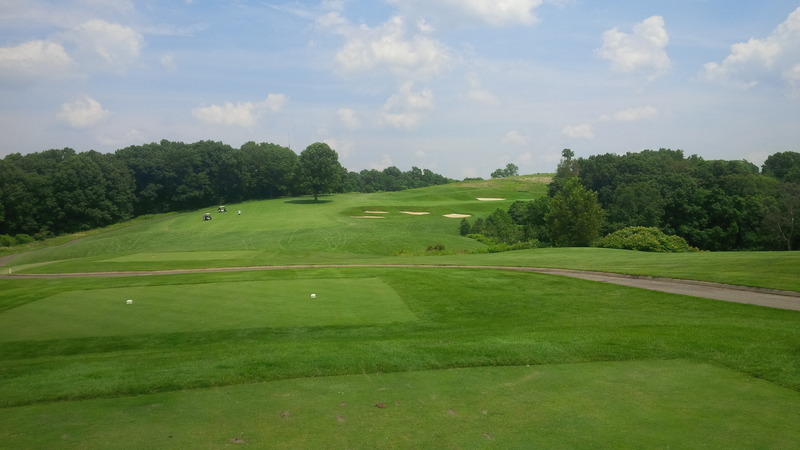 A nice mix of challenging and scoring holes, all with an amazing background scenery.